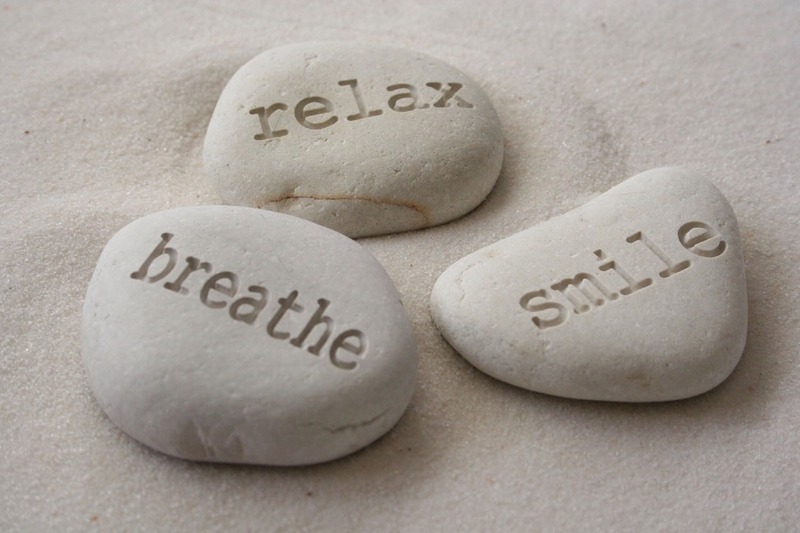 When my daughters were in preschool, the gifted and unfailingly patient teachers there taught their young charges the “STAR” method for dealing with challenges and frustrations: Stop, Take a Deep Breath, And Relax. There was even a little song that went with it. The somewhat-annoying little ditty had the (probably intended) effect of rubbing off on the parents. I confess that I still fall back on those simple instructions 15 years later. In the same vein, I’ve become a loyal fan of Betsy Chapman in the Office of Family Engagement at Wake Forest University, where one of my daughters is a rising sophomore; Wake is also my own alma mater. Betsy’s “Daily Deac” emails are small nuggets of useful information and advice or sometimes a quick glimpse of campus goings-on. Her posts are both beautifully crafted and enormously beneficial. A wonderful case in point is her new take on the “Stop, Drop and Roll” safety mantra that we all learned as children. Stop – and take a deep breath when your student contacts you with a problem. Is it REALLY something he or she cannot solve on his or her own? If you fix the problem for your student, has your student really learned anything or developed self-reliance and independence? Will your intended action help your student learn how to juggle multiple priorities and take care of things? Drop – the urge to reach out and fix things yourself or provide detailed instructions on how your student should handle the situation. Instead, push back with questions: What do you think you might do? What are your options? What campus offices might have resources? What have you already tried? Who have you talked to about this already (your RA? adviser? etc.) Those kinds of questions can help prompt your Deac to figure out next steps (without you directing those next steps). Roll – with it! This is easy to say, but hard to do. Let your student do the problem-solving on his or her own (even if the solution is different from how you might have handled it). Struggling with adversity builds resilience and helps your students learn that they are capable and resourceful. Even if all you remember is “STAR” (stop, take a deep breath and relax) when your student inevitably texts you about a sticky situation, that’s a good start. 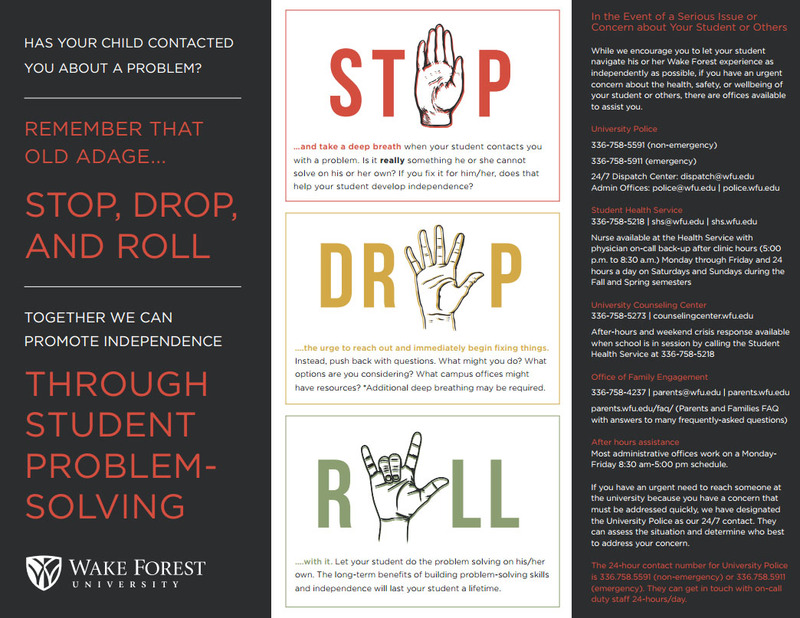 And that will give you time to consult your own Stop, Drop and Roll cheat sheet (or the Office of Family Engagement’s handy Stop, Drop and Roll graphic) before reaching for the phone for a live conversation. Congress is showing little interest in the initiative that’s nearest and dearest to her: using federal dollars for school choice. There’s no unanimity among Republican lawmakers for even a limited voucher program, and given the daily drama from the executive branch, both houses already have their work cut out for them to pass a budget. Further complicating her work, there are no political appointees in place at the top levels of the department to help advance her agenda or to lend a semblance of credibility to the agency. (Despite being Secretary, DeVos has had no personal experience with public education as a teacher or a parent.) As of the end of July, the administration had nominated only two people to fill subcabinet posts and neither had been confirmed. The department has a total of eight slots (including the Secretaryship) requiring Presidential nomination and Senate confirmation. DeVos has had more success on issues related to higher education, including the unfortunate reversal of an Obama-era consumer protection for students with federal loans from for-profit colleges. Alexandria is fortunate to have a school division that is deeply committed to arts education, and this recent Washington Post article, Why All Parents Should Care About Arts Education, affirms the importance of that commitment. One area within ACPS where there is still room for improvement: making it possible for more middle-school and 9th-grade students to continue with instrumental music in high school, which is the subject of Port City Notebook’s most widely-read post (viewed 1,800 times since 2014). The Post article is also an affirmation of the work of ASO Sympatico, a before- and after-school music education program funded by the Alexandria Symphony Orchestra at John Adams Elementary school. Sympatico’s vocal ensemble will be performing at Del Ray’s First Thursday event on September 7 (Mt. Vernon Avenue from 6:00 to 8:30 pm).